It is time once again for our 10 favorite crafts with jars series. If you missed the first installment, be sure to catch it here. 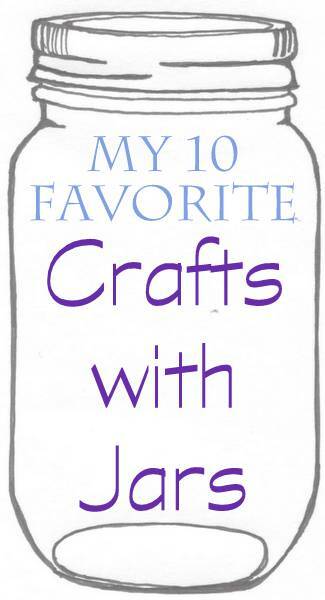 Today we have another guest who is sharing her favorite Crafts with Jars. Take it away Cyn! Thanks Angie for letting me share some of my favorite jar crafts today! Many thanks Cyn for joining us today! Y'all be sure to visit Cyn and check out all of her awesomeness as well.